In the unfortunate event you are involved in an accident, the last thing you need to worry about is whether repairs will be made in a timely and professional manner. Babylon Honda Collision Center gives you peace of mind– we will negotiate on your behalf with your insurance company so you get the best terms possible. And you can be assured that all repairs will be made with Genuine Honda Parts, by Honda-trained service technicians, and that your Honda automobile will be back on the road looking and feeling like it did on the day you drove out of the dealership.That is the Babylon Honda pledge! Babylon Honda will explain every step of the repair process! Honda-trained technicians know Honda vehicles better than anyone. By bringing your auto to Babylon Honda, you’ll have the satisfaction of knowing your vehicle is in good hands. By using only Honda Genuine Parts you will maintain the original operating specifications of your vehicle and offer a perfect fit and finish. Help With Your Claim Navigating the intricacies of an insurance claim can be stressful. 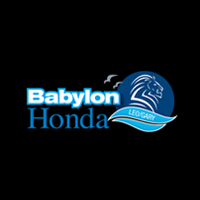 Babylon Honda will negotiate on your behalf, getting you the best deal possible. Once your repair is completed, Babylon Honda will perform a complimentary auto detailing including wash, vacuum, shampoo, and waxing. When performing repairs we can also repair the minor scratches and dents that were not related to your accident. If needed, loaner cars can be arranged with your insurance company.